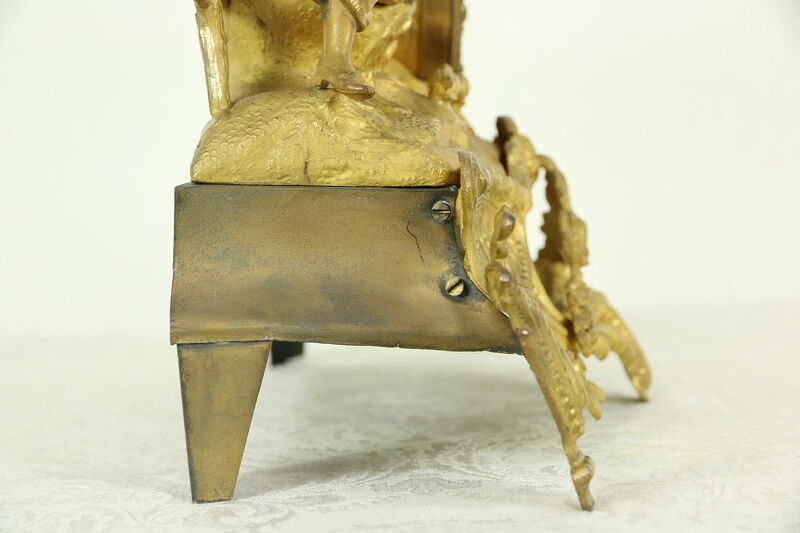 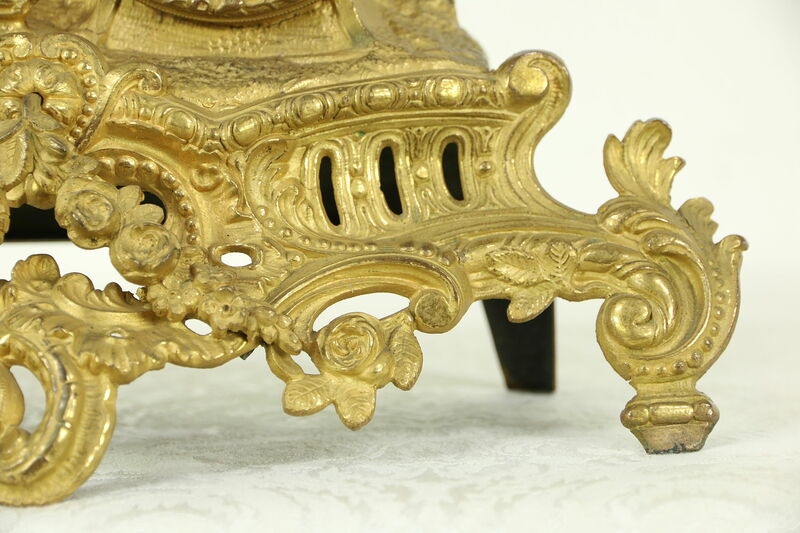 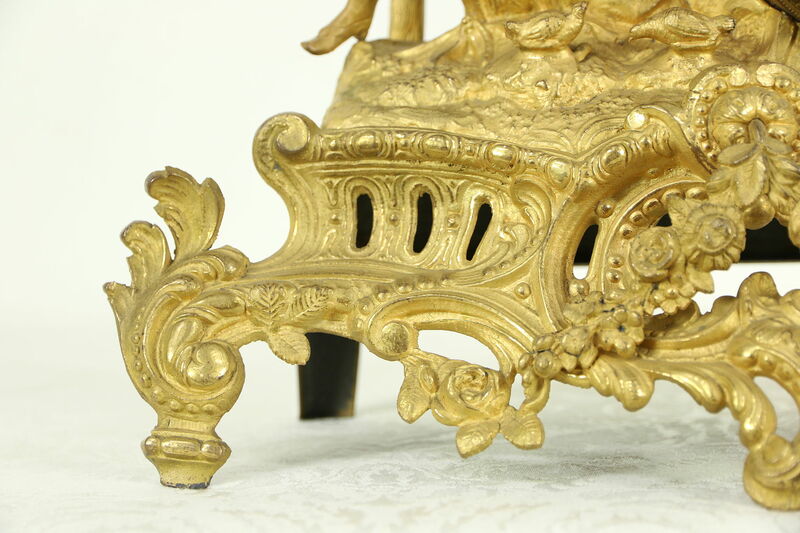 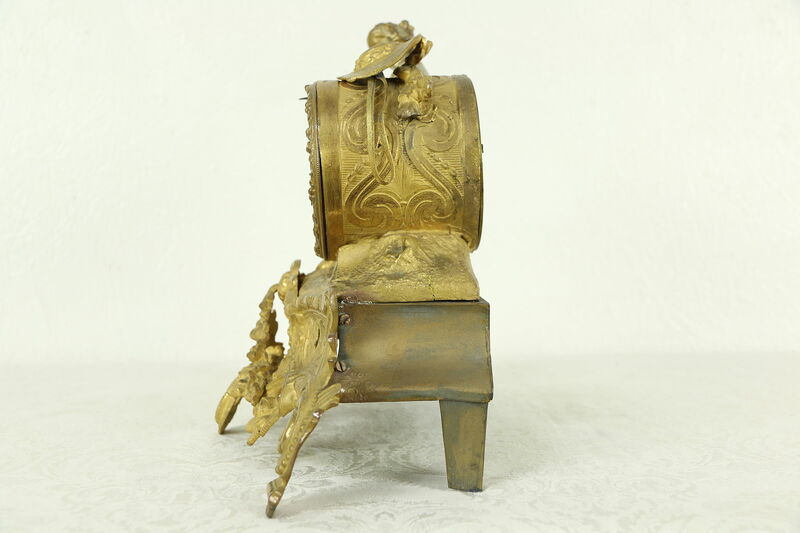 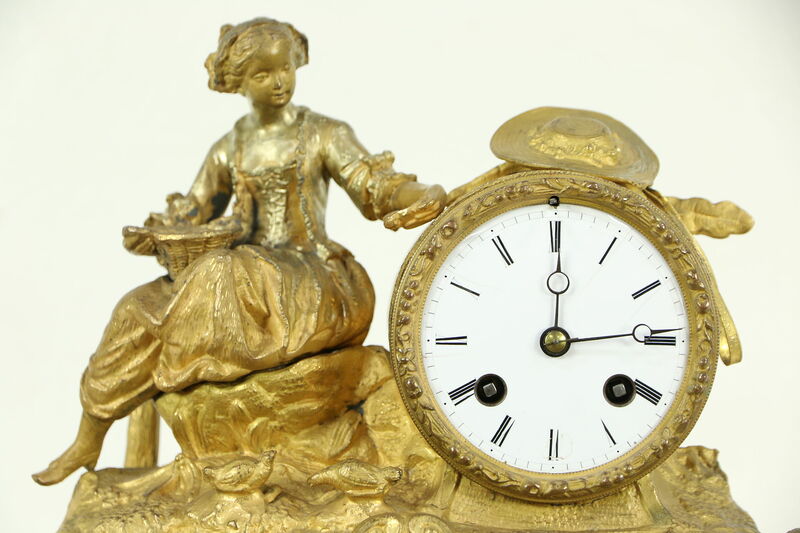 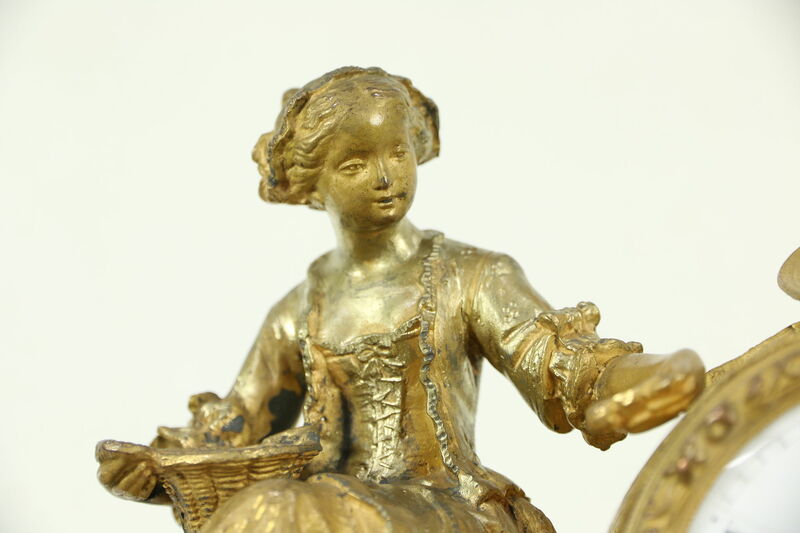 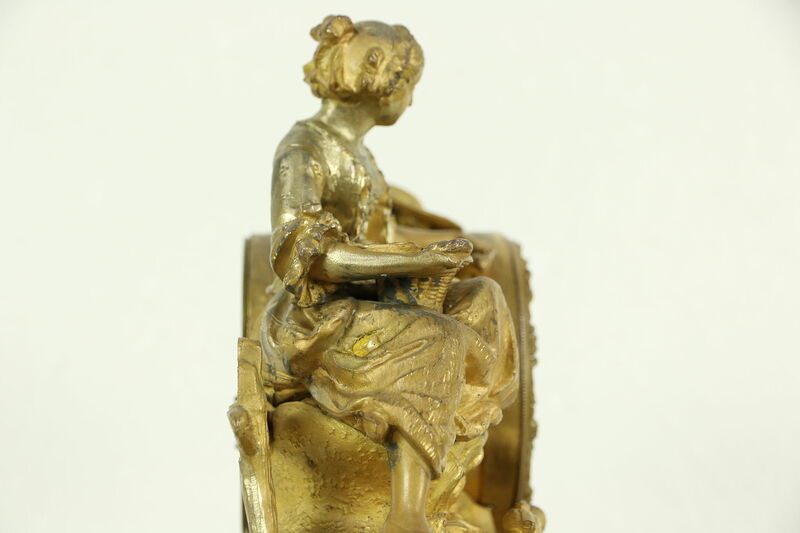 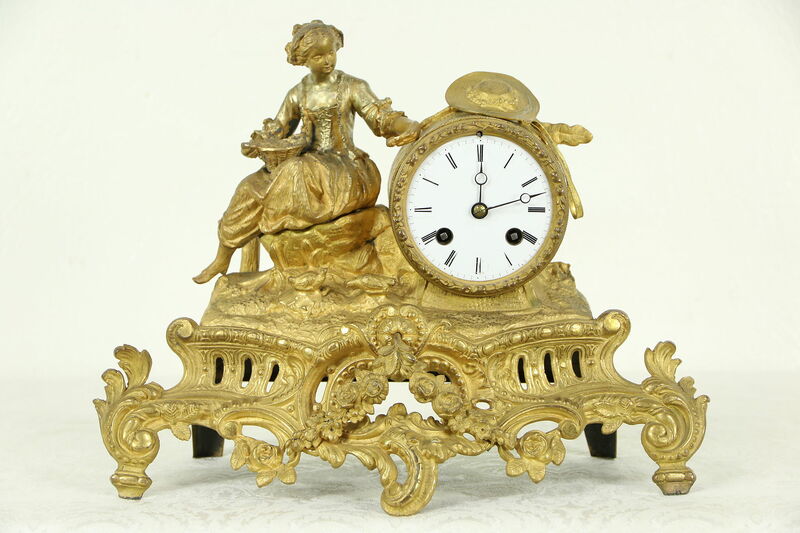 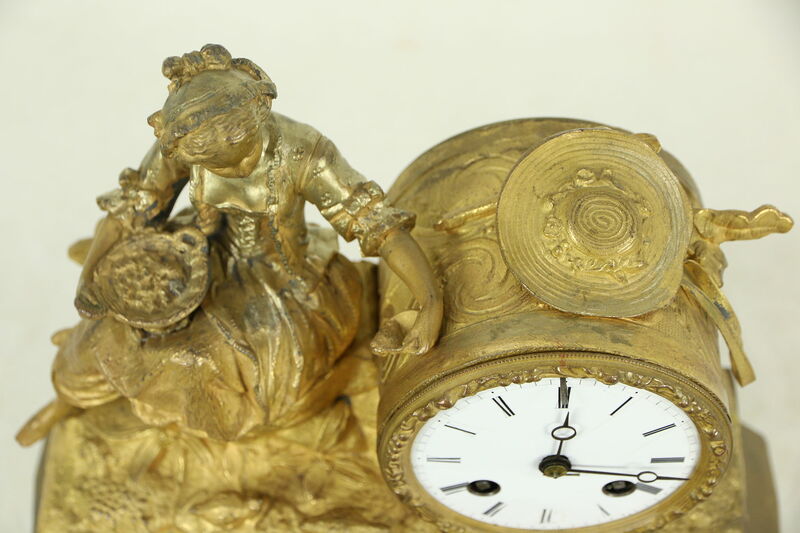 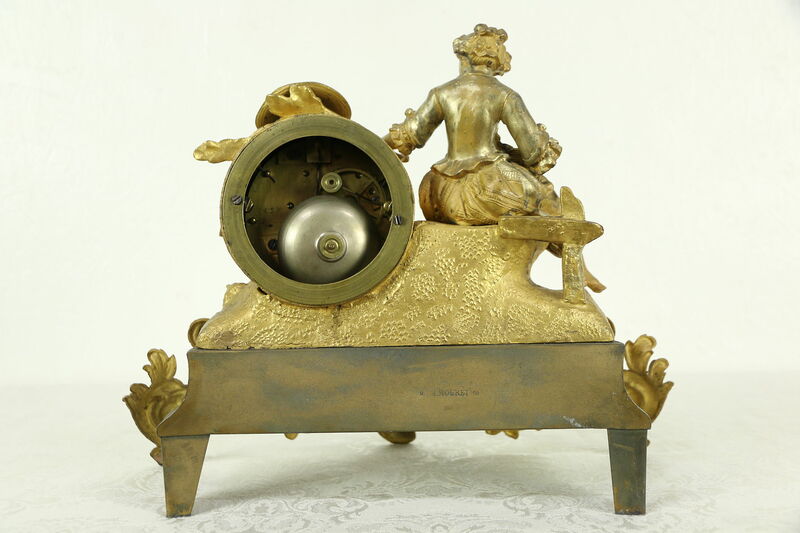 A marvelous antique French bronze clock from the later 1800's has a sculpture of a seated young woman feeding chicks, and is signed "H. 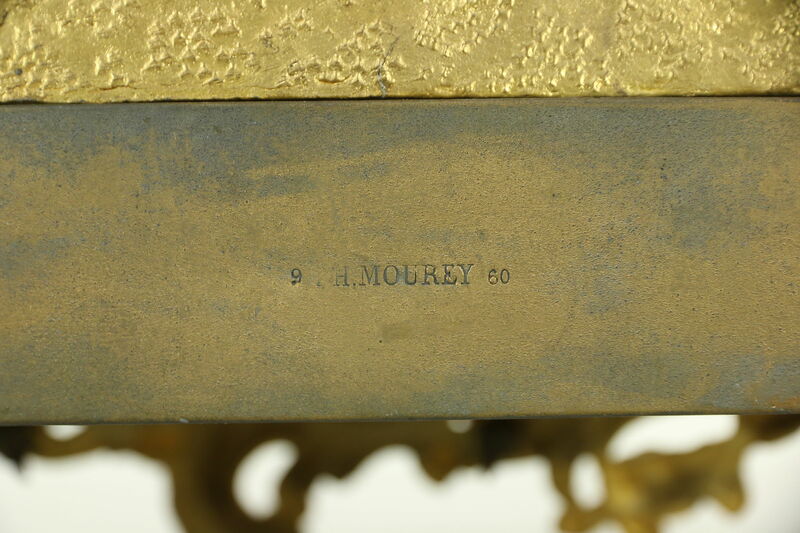 Mourey." 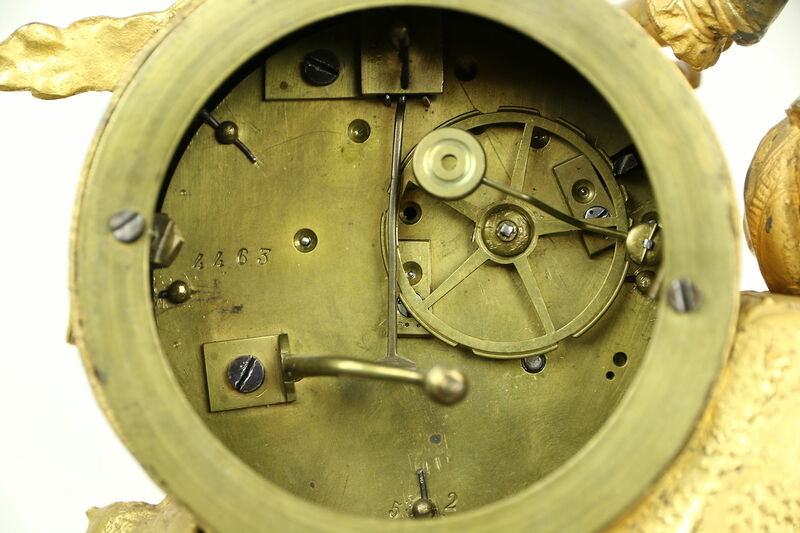 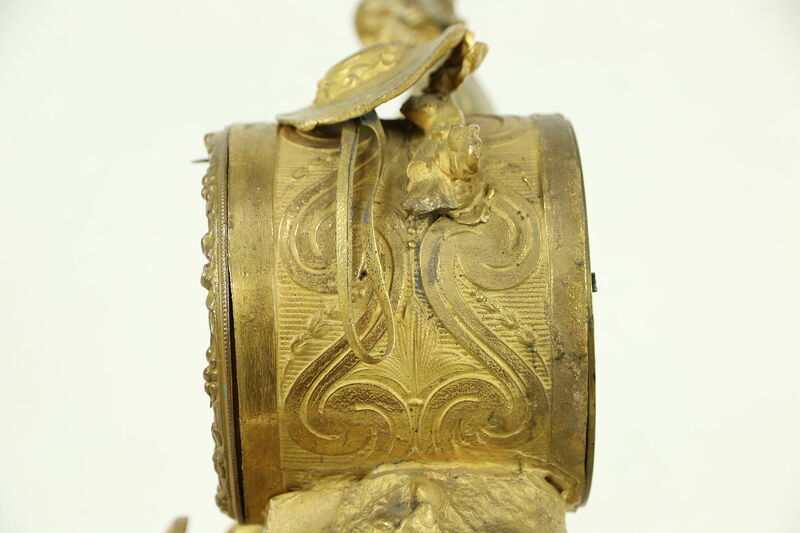 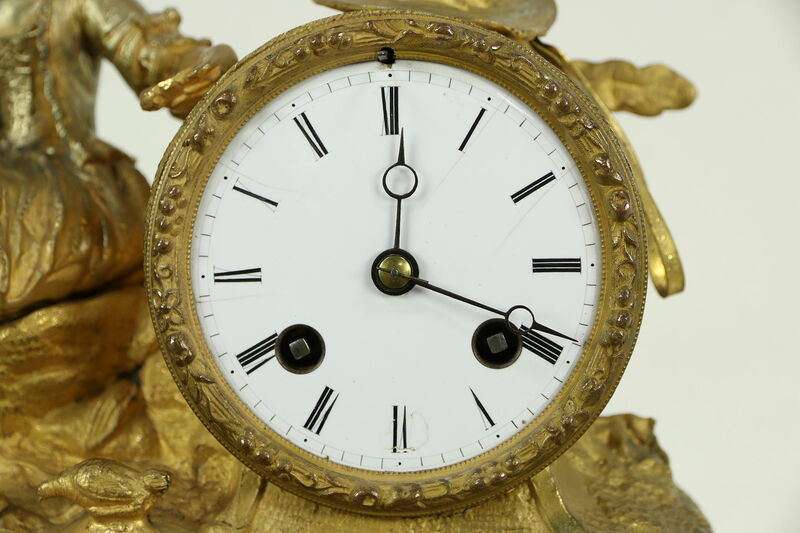 The brass movement runs accurately for a week on a winding, counting the hours and the half on a silvery bell. 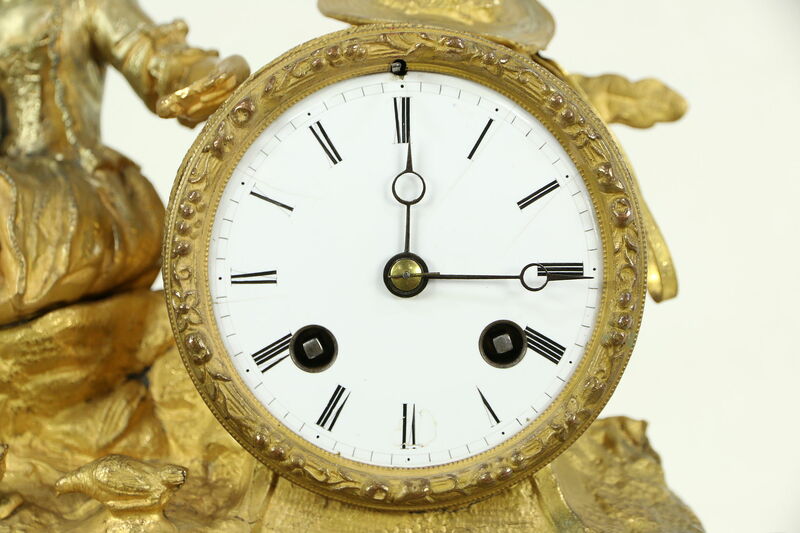 There are hairline cracks in the porcelain dial, see photos. 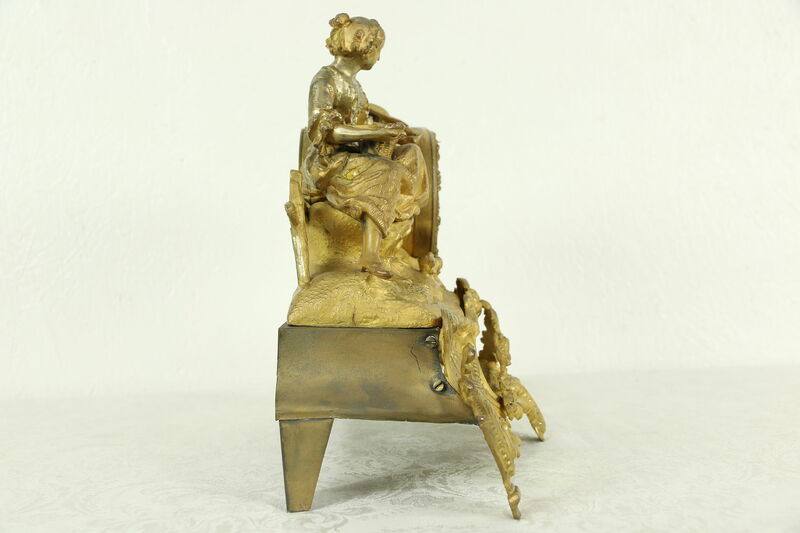 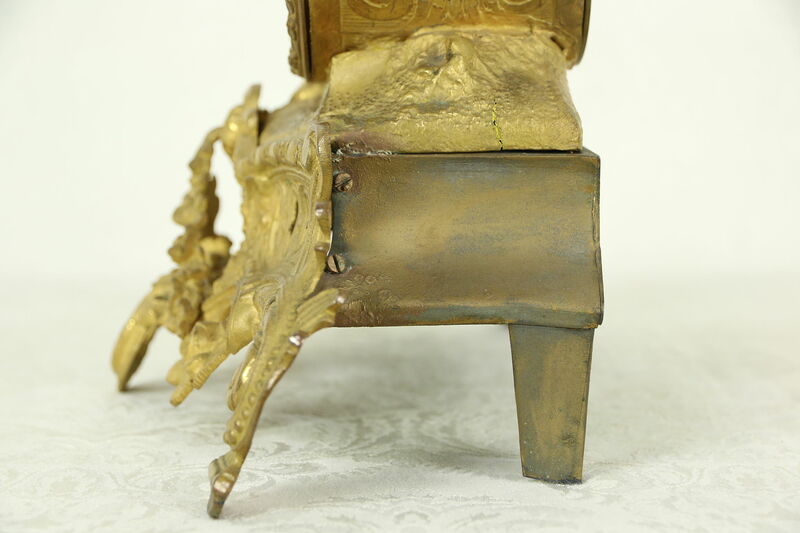 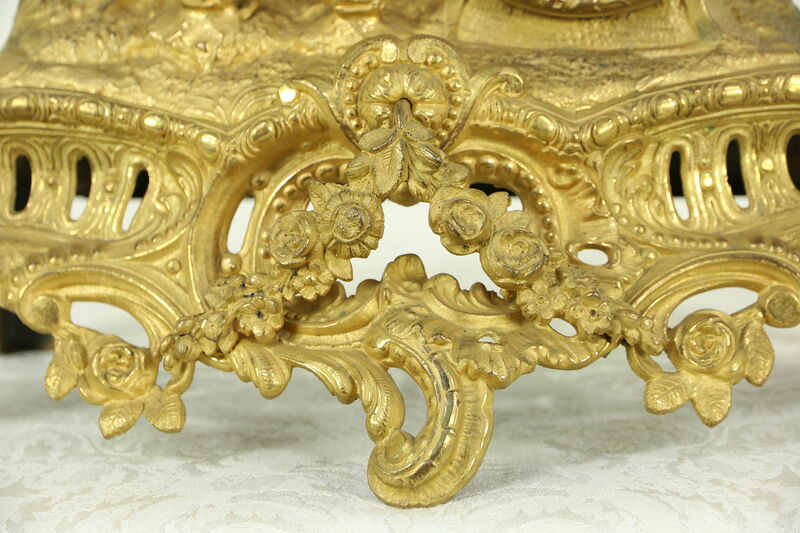 The burnished bronze has just enough wear for a little antique character. 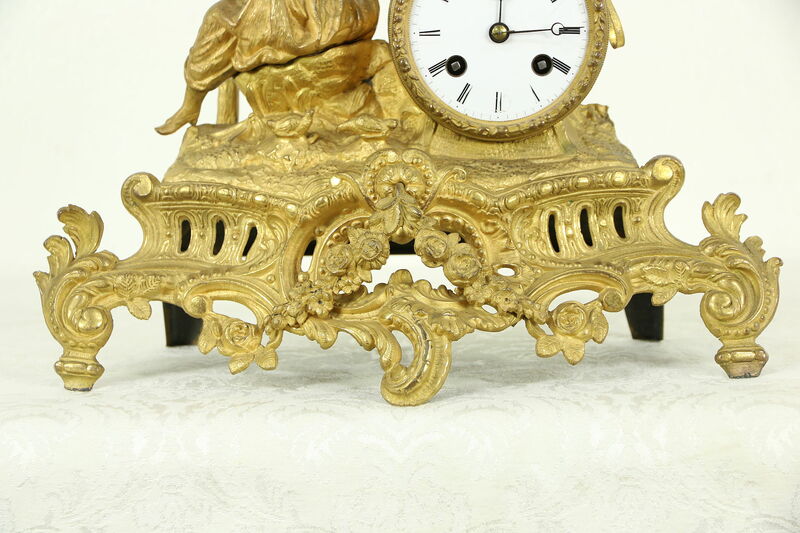 Measurements are 13" wide, 6" deep and 10" tall. 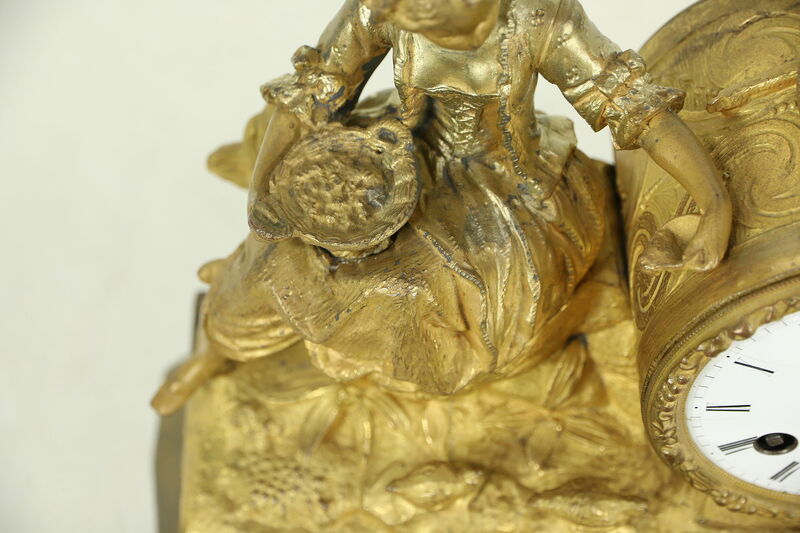 Please view 20 photos at full screen size for best detail.